These Keto Chicken Strips are spicy and crispy. 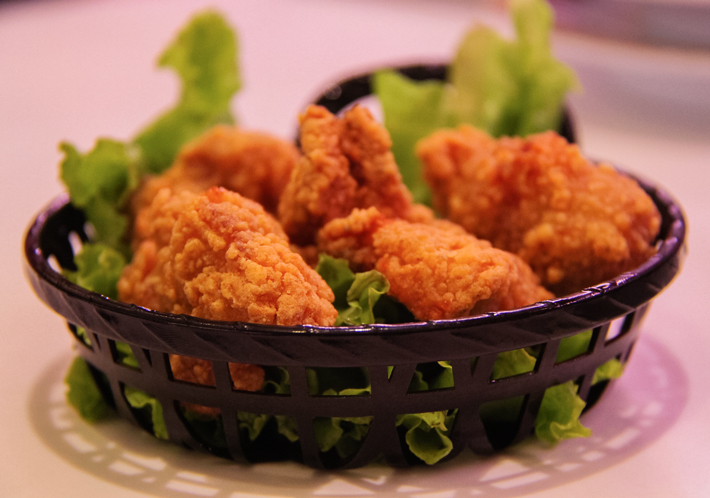 Today, I will share recipe for a low-carb and spicy version of crispy chicken. These absolutely get crispy! 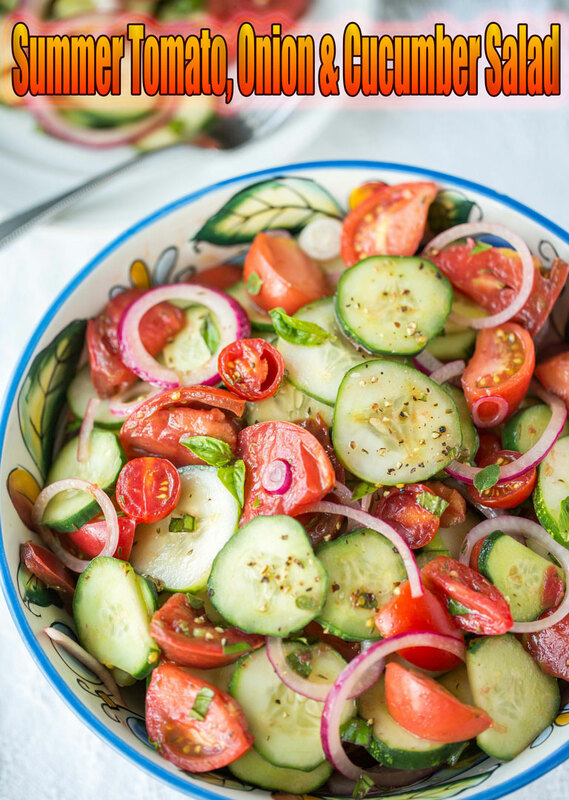 This low carb recipes quickly become a family favorite, as it’s easy to meal prep and adjust to whatever low carb side dishes you serve it with. So crispy and still juicy and not to mention tasty, amazing! Trust me, once you try this Keto Chicken Strips, this will be your new favorite recipe! Using a blender or food processor, blend the entire bag of pork rinds until they look like bread crumbs. Once the pork rinds are crushed, pour them onto a plate. Crack the eggs into a small bowl and whisk the eggs until they are completely mixed. 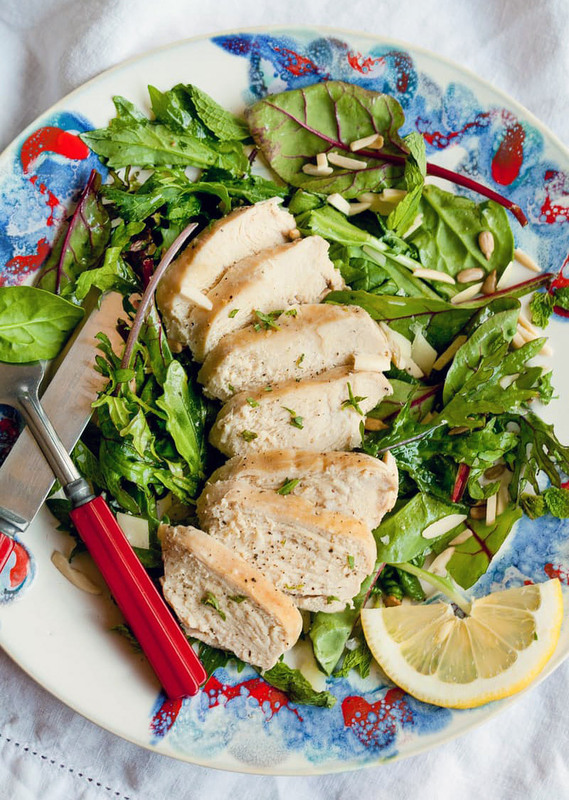 Cut the chicken breasts into slices that are about 1 inch wide and 2-3 inches long. Make them look like chicken strips! One at a time, begin to dip the chicken strips into the egg mixture. After fully coating the chicken strip in egg, place the chicken strip on top of the crushed pork rinds and roll the strip around until it is completely covered in the pork rind coating. Place the coated chicken strips into an oven-safe baking dish. Place the chicken strips into the 400F oven for 30 minutes. 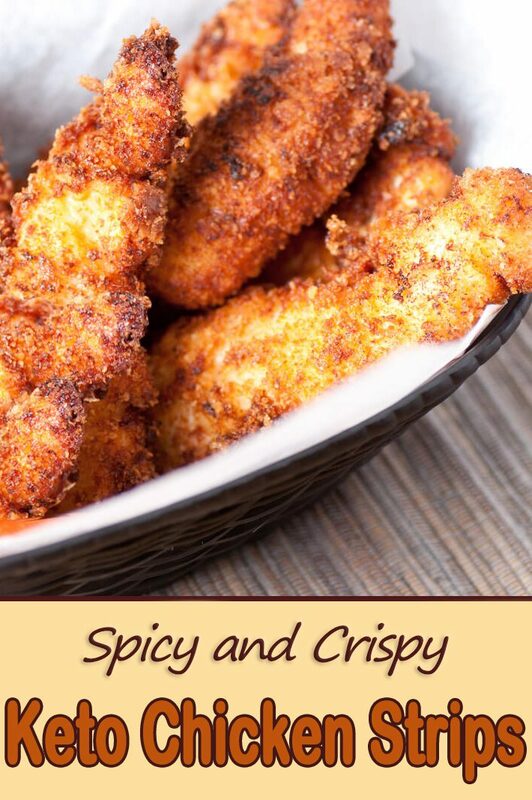 After 30 minutes, take the dish out of the oven and take a look at your low-carb, spicy, crunchy, crispy, savory chicken strips!